1. I’m scared of horses. 2. Skirts can’t be too short, as heels can’t be too high. 3. I’m a night person. 4. I went to a boarding school. 5. I love going to the movies and sometimes prefer going there alone. 6. Ironing is my favourite housework, and I’m doing it in a perfect way. I’ll tag everyone who loves gingerbread as much as I do. 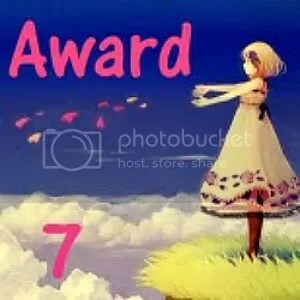 This entry was posted in Uncategorized and tagged award. Bookmark the permalink. Toll! Danke für deine tollen Antworten! zu 7: ich verneige mich, aber deine schriftsprache ließ mich schon mehrfach staunen. LG und zu 6: autsch, das überlasse ich gerne meinem gatten.